This marks my 100th post on If all else fails…use a hammer (not counting reblogs – if I didn’t write them, they don’t count). I also considered not counting posts I imported from my first blog on Blogger, but that meant I’d have to do some math and I really didn’t feel like that. For the same reason I decided to count asides as posts even though they technically…aren’t. So, this is post one hundred by solemn decree – mine. To mark this auspicious occasion, I’m going to share with you 100 facts about me. I saw this on Brilliantly Novel and decided to steal borrow the idea. I hope you don’t mind that I stole your idea imitated you which they say is the sincerest form of flattery. I remember playing tag. You had to run around and avoid one person touching you. If he touched you, you had to chase the others. If you touched a certain object you couldn’t be tagged. We called it “Touchers”. I reckon my last game of tag was around twenty years ago. That is, until today. Thanks, Nerd Enchanted, for helping me rediscover my youth. …my only sunshine, you make me happy when skies are grey. You’ll never know dear, how much I love you. Please don’t take my sunshine away. Why am I starting today with a song? Because I have once again received an award. The Sunshine Award, to be precise. Thanks to Jayde-Ashe over at The Paperbook Blog for the nomination. Go give her a visit, why don’t you? It’s finally happened. I’ve heard of it happening to other people, but didn’t really believe it. I thought it was just a story. Then it happened to me. It’s been more than a day and I’m still giddy. 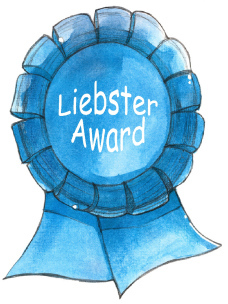 I’ve received…an award!